The performances are extraordinarily moving." about masculinity, about abuse, about growing up queer, about chaotic family life, about the jumble of incidents and stirrings through which a child discovers a self." Want To Share We The Animals At Your Campus Or Event? See Below On Acquiring A Public Performance License. ​Us three. Us brothers. Us kings, inseparable. Three boys tear through their rural New York hometown, in the midst of their young parents’ volatile love that makes and unmakes the family many times over. While Manny and Joel grow into versions of their loving and unpredictable father, Ma seeks to keep her youngest, Jonah, in the cocoon of home. More sensitive and conscious than his older siblings, Jonah increasingly embraces an imagined world all his own. With a screenplay by Dan Kitrosser and Jeremiah Zagar based on the celebrated Justin Torres novel, We the Animals is a visceral coming-of-age story propelled by layered performances from its astounding cast – including three talented, young first-time actors - and stunning animated sequences which bring Jonah’s torn inner world to life. 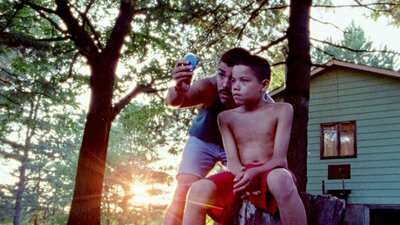 Drawing from his documentary background, director Jeremiah Zagar creates an immersive portrait of working class family life and brotherhood. Order We The Animals For Your Library Below!